About – Insight. . . ! Rahul Ashok, born and brought up in Kochi, India. Bio: Optimist/ Rebel/ Taurus Guy/ Passionate Blogger/ Short Film Maker/ Avid Reader/ Yoga Buff/ Networking Partner/ Insomniac/ Movie Creak/ Music Lover/ Coffee Addict/ Epicure/ Dreamer. Once, a naughty-little-boy came to an unfamiliar world of miracles from the womb of his mom, a lovely lady, who had given him birth as a common-right to live upon in the century of the Anno Domini Era or the Common Era. At the age of 4, he was diagnosed with a slight action of schizophrenia disorder and it was cured by a group of doctors within a 2 year period. He loves his parents too much, especially his mom, and they’d given him whatever he needs in his life till date. He was a quite abnormal child; there was nothing weird in him. Nevertheless, he dwelled up as an attentive listener to them where he’d been holding out. As the time flew, they certainly noticed the changes happening in and around him through his various gestures and actions. On that day, when he became an adult: illegally or legally to know about himself, he felt that there would be a notable or reasonable reason behind every challenge he’ve been through the diverse stages of circumstances so-called realities. Yea! The conditions around him began to change very shortly. Meanwhile, he unknowingly got introduced into the world of books… and thus later to the fantastic world of writing, where he penned down everything he has, in him, and constantly attempting to search himself for pertaining certain revelation from his thoughts through writing. Currently, he is living together with his mom, dad and sister in the southern most part of India. What a great about page. Wish I had visited Kerala when I went to India. Hi Rahul. Thank you for checking out my poetry. I look forward to reading your writing. Best wishes to you. All the bestand God bless you. Very mature thoughts for a teenager, keep it up. Thanks for visiting my blog. Have a great day ahead. Cheers. it is so nice to meet you. at your age the world is full of opportunities. grab all that you can! good luck with your schooling! Hey, thanks for dropping by my blog! I liked yours a lot. And, ummm, sorry if this sounds stupid, but you look a lot like a cousin bro of mine! 🙂 Anyway, it’s always a happiness meeting another Keralite in the blogspace! thanks for visiting and liking my blog. And for bringing me here. You seem like an amazing person, and still so young to have such insights! May you continue to follow your deepest soul insights…to continue to find “deep inspection” in all things…you live in an truly awesome country…my prayers and blessings for you, your writing and your life journey. May it be filled with great love, light, JOY, gratitude and Faith. May the god almighty’s blessings with you always.. Thank you for following my blog. I hope I don’t disappoint you and that your visits in my blog will always be a joyful ride. I know you are a prominent writer from your posts. Keep posting. Great blog! Very smart and well written! Thank you for the like. Keep in touch. Have a great day. thanks once again for liking my post…. I like your blog. you really are a good writer! Keep up the good work! thanks for visiting my blog and liking it. your name sounded like a name of two different people that really fetched my attention for once. Well you have a great blog. I am following you now. I had a very less time so couldn’t read much but i sure would want to read a lot more.! Hey Rahul, great blog! I look forward to checking out more of it soon! Thanks for the visit and appreciation on my posts. Appreciate the support any day. Thank you for dropping by at the blog 🙂 Your space is very interesting! You are a very handsome and talented person. I enjoy getting to know you. I’m so glad enough to know about you too, Mam! I really enjoyed reading your blog, wish you the best. I have past the age of young, and let me learn as much from you. I speak from my heart. I am addicted to absorb the knowledge of the world, I don’t know why, but the feeling is intense. I love to see inspirations and insights from you =). I will come to read your other posts soon, I really devoted tremendous time into by blog beside my job. I feel that I did not answer your question well today because of too much work in my mind, I have a long way to go before gaining wisdom to have a calm heart. Thank you too my dear friend. It is nice meeting you, Rahul! Thanks for coming over to my place and staying a while! oh thanks pal! hope it was a good one that it revealed! Hi Rahul, Thanks for stopping by 🙂 You have a wonderful blog!! Thankyou for visting my blog and so it led me to yours! Rahul, I must say I love it already! I love the blogs who actualy tend to tell me more about the bloggers themselves and that is exactly what I got here. So much information! LOL! Oh lovely! 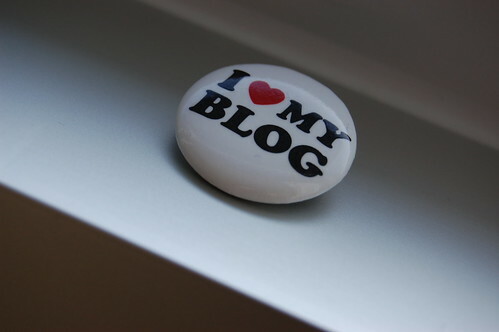 You are really a person worthy of this blog award. Cheers! Several people from India are following my blog. I can’t imagine how they found me here in USA. Many from Australia, New Zealand, South Africa, England and Canada – across the English speaking world. Hope you will enjoy my cartoons. Thanks Rahul, for dropping by and liking the recipes. Keep visiting. Your blog looks very neat and interesting…I could not see the photography sections…none of them loading…will chk soon. Hi Rahul, I came across your blog via SofiaSiberia’s. Wishing you a most joyous New Year and look forwards to sharing ideas and posts with you. Be well! Best Wishes for the New year Rahul! Best of luck in everything you do !! Awsome Bog. You are young perhaps, but so very wise too ~ I believe some have “old souls” a gift. Nice blog!! Thumb up for you. Visit mine too and follow. Haha ! Thank you so much for stopping by and leaving your valuable feedback here, Yasmeen! Have a good day. God bless. You’re welcome Rahul! Blessings to you as well! I wanted just to thank you for kindly following my little blog. I appreciate the consideration and do find yours interesting. Thank you for your interest in my little blog. Am enjoying your work, and look forward to seeing more. You’ve got a new follower 😀 I’ll definitely be coming back to read more! It feels great to know someone somewhere thinks like you. All the best for this blog! May miracles happen! Yeah, I don’t find your thoughts to be immature, despite your blog’s tagline. Great stuff and cool name. You too, Rahul, and I’m currently navigating through your blog myself. You seem to write a lot of reflective stuff. I like reflective stuff. Same here, James!! I’m so much happy to say that you’ve a wonderful header-line there in your blog which hides a mystery around somewhere. I’m enjoying browsing your insights, what a lovely thought about little miracles – I couldn’t agree more! I think we just became blog friends! Thank you so much, Gurleen! I’m extremely glad that you liked my blog. Right from the womb to here..already following! P.S. I’m extremely sorry for not getting back to your valuable feedback on time. Hey Thanx for stopping by and liking my post. Yours is an interesting blog. will be coming back for more. P.S. Excuse me for the delay I’d kept in getting back to you. Thanks Rahul for stopping by and liking the post. P.S. I hope you don’t mind getting back to your feedback after a huge delay of time. Never mind Rahul, it is never too late to say something to someone. Nice to hear from you. Wonderful blog! 🙂 You have a great way of looking at and analyzing the world and those around you. P.S. Excuse me for the delay I’d kept in getting back to your feedback on time. Nice to meet you through this blog. Have a wonderful blogging journey ahead. P.S. I was a little busy with some other activities these days. I’m absolutely sorry for not getting back to your feedback on time. P.S. Excuse me for not getting back to your feedback on time. And happy meeting someone from my part of the world !! Seriously you are amazing! !Loved your blog.. Thanks 🙂 you too !! ur writings r true,innocnt n a lil crazy…n dats y i lykd it…keep that gud work goin,,stay blessd!